CNC Metalworking and Laser Cutting: Special Cutting Tools. We provide an affordable turnkey upgrade package for CNC laser cutting machines (source DXF, CAD software not included), and applications in robotics (welding). We perform NDT analysis through technology partners. Metrology Software Applications including Statistical Process Control (SPC), MIL STD 105, MIL STD 414, MIL STD 1235, Data Acquisition & Mining, Calibration, FMEA, DOE, 6-sigma, MSA, Gear Metrology, upgrade of length measuring machines of different brands. Metrology (our passion since 1992). 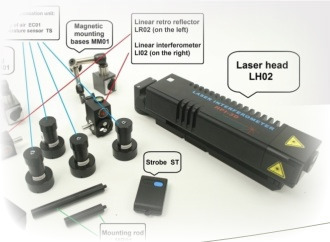 Gear metrology, form metrology, Machine tool geometry inspection & CMM calibration with laser interferometer. 3D Laser Scanning. Software and Training: Six Sigma Green Belt and Yellow Belt, Metrology, SPC, Sampling, CSP, reliability, DOE, MSA, FMEA.